Oxford Reading Tree MagicPage I Can books enable you to move seamlessly from work on the whiteboard to phonics and comprehension with fun, easy-to-use independent activities. This I Can book supports the MagicPage CD-ROM for Levels 1, 1+ and 2 and enables you to practise what has been learnt in the whiteboard session with in-built assessment for learning. 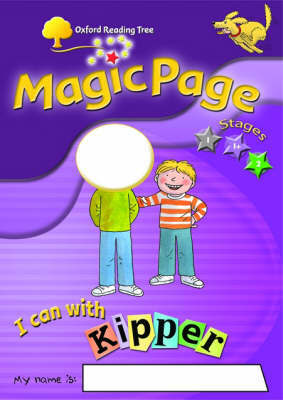 Level 1-2 I Can books, MagicPage CD-ROMs, Storybooks and a Teaching Guide are also available.